Management House, Plot 22, Idowu Taylor Street, Victoria Island, P.O.Box 2557, Lagos. The Nigerian Institute of Management (Chartered) was established in 1961 when a general meeting of top managers in Commerce, Industry and Government was convened to discuss the formation of a management Institute in Nigeria. 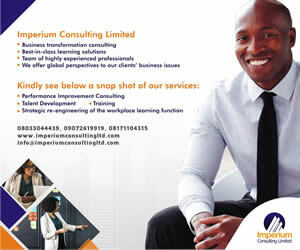 Subsequently, the Nigerian Management Group was formed. The Group was immediately accorded recognition by many international institutions like the British Institute of Management, American Management Association etc.